As part of Governor Matt Bevin’s ongoing commitment to provide a modern and safe transportation system that encourages economic growth across the Commonwealth, the Kentucky Transportation Cabinet (KYTC) has approved $217,000 in discretionary funding for the resurfacing and repair of KY 558 in Russell and Clinton counties. KY 558 serves as the access road to Marina at Rowena, a $10 million commercial marina development currently under construction on the banks of Lake Cumberland.Kentucky Transportation Cabinet Secretary Greg Thomas and Kentucky Tourism, Arts and Heritage Cabinet Secretary Don Parkinson attended a joint fiscal court meeting today between Russell and Clinton counties to make the announcement. Secretary Thomas was also on hand to invite input from local officials on pressing transportation infrastructure needs as part of a statewide listening tour. Safety improvements will be addressed by resurfacing the road to support the increase in traffic generated by the new marina. Currently, traffic on this portion of KY 558 is minimal as it terminates at the lake. Nearly one mile of roadway will be treated, crossing from Russell County into Clinton County. The total future estimated cost of the project is $268,000. 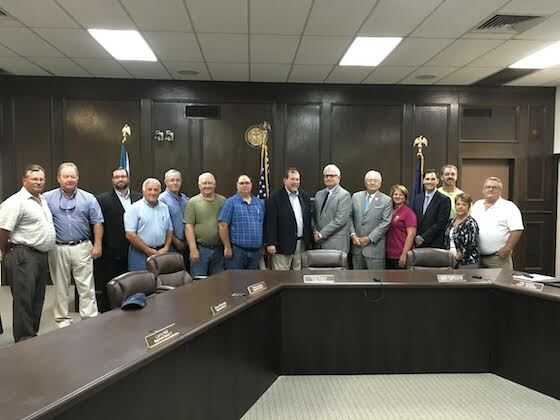 In addition to KYTC’s contribution, a combination of funds from Russell County Fiscal Court, Clinton County Fiscal Court and developer Marina at Rowena LLC will pay for the remainder of the project. Marina at Rowena LLC plans to provide a parking lot and launching area on the lake, as well as 121 boat slips and a café. More information on Marina at Rowena can be found at www.marinarowena.com.